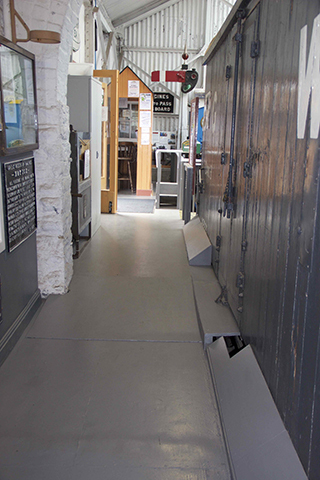 We thought that you might be interested to see what has happened to the floor in the museum as a result of water ingress over a long period. To cut a long story short the main structure at this point appears to have been chipboard, with an overlay of hardboard, and it is badly damaged where water has laid on it recently. 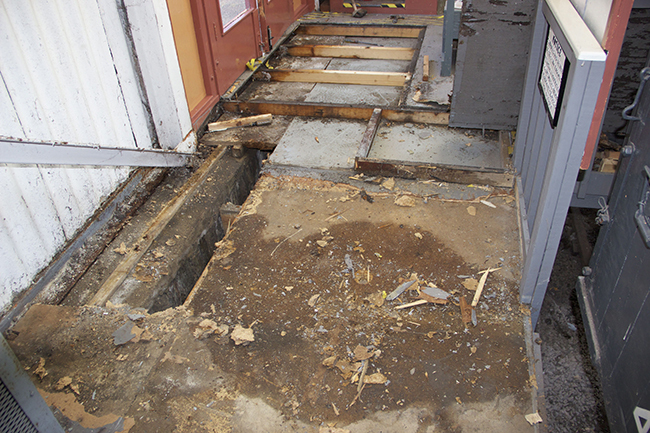 These areas are currently being taken out and replaced by marine ply, with some new joists being needed. Buckfastleigh Station Group has been sorting out the guttering, which was blocked and sagging, and thus overflowed, causing the problem. 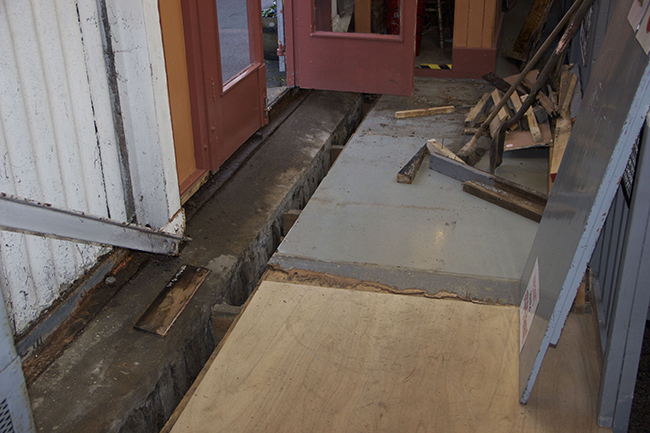 In addition they are looking to fit a wider lintel over the platform doors; we are looking to fit a threshold to stop water blowing under the doors. Later, if it ever stops raining, BSG will paint the corrugated exterior walls. 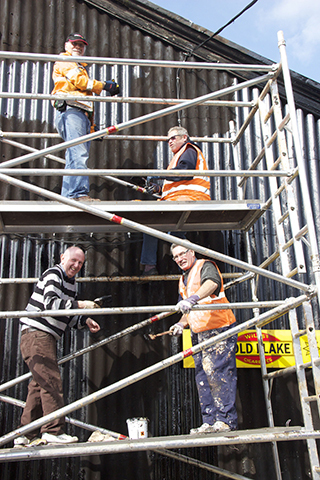 Mike Smoker’s Sunday gang have already done the wooden boarding outside the Light Side. We’ve made good progress today, and replaced one are of flooring with marine ply. Fortunately the underlying supporting structure was sound, on examination. 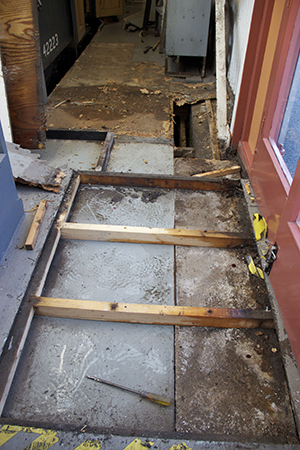 We have now cleared out the area immediately inside the main door, where water had been trapped for some time. We will let this dry out before treating the steelwork - part of the original fabric of the building - and then reinstating the floor. 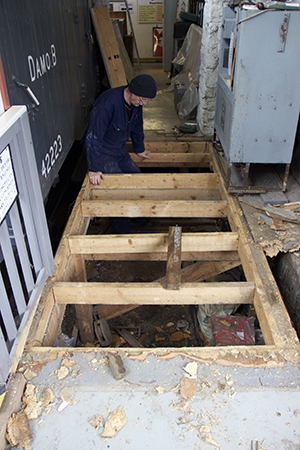 Photos taken today (23 January); regular SDRT Museum volunteer John O’Connor gets down to work on the new floor. 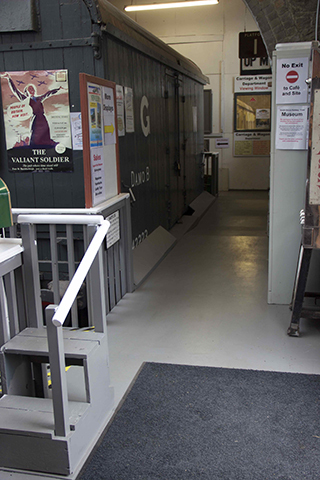 The fully refurbished floor — in the left hand picture note new door mat to reduce water and dirt ingress.